It is about how well you know what you know. 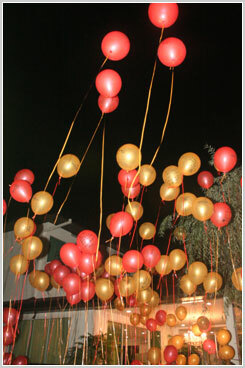 Over one hundred red and yellow balloons slowly rose into the dark moonless sky. For a while, one could still read wishes, written on them in blue and red markers: “Travel around Africa in 2008”, “Open my first WOFS boutique next year,” “Publish a book in 2009,” “Get married,” “Join the college,”… Soon the wind blew the colorful cloud away, leaving more than fifty men and women from the UK, US, Pakistan, Mongolia, Georgia, Italy, Greece, Australia, Oman and other 18 countries of the world standing in the garden of the creator of the World Of Feng Shui Empire, bestselling Feng Shui author Lillian Too. 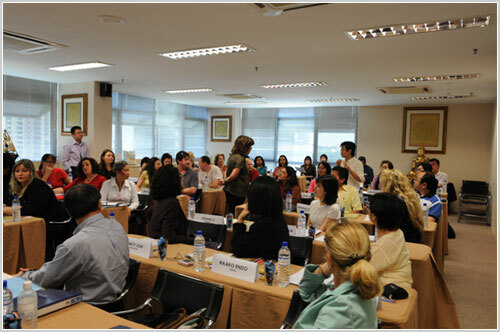 From all imaginable walks of life: businessmen, students, housewives, engineers, designers, government employees, PR-specialists, lawyers, sales people, and so on, they arrived to Kuala Lumpur for a week of studies at the Master Practitioner’s Course (MPC) with the Queen of Feng Shui. Whenever I heard that somebody outside of China, Hong Kong and Singapore knew something about Feng Shui, it always was the right guess that they had learned from Mrs. Too’s books: she is the one who introduced the science of Feng Shui beyond the borders of Asia, made it easily understandable and applicable for the modern world. 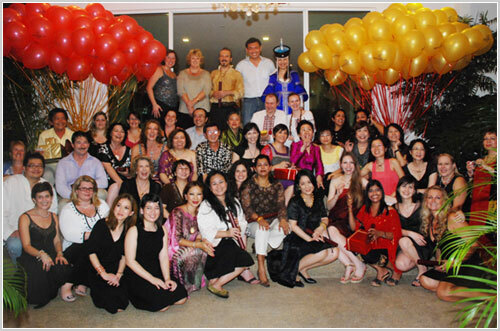 Each of the participants had his or her own story of coming into Feng Shui; each had some experience in practice: from Daisie Cahapisan, USA, who started applying Feng Shui 17 years ago to Lara Klait, Lebanon, who became interested in Feng Shui recently. But it is doubtful that anybody anticipated receiving so much more than just the confident knowledge of schools of Landscape and Eight Mansions Feng Shui topped up with many complicated formulas laid out to bare simplicity by Mrs. Too. Here are some drops from her well of wisdom and knowledge that the MPC participants benefited from during the studies. Vital for a Feng Shui consultant protection amulets are as important for everybody. Mrs. Too always wears several amulets, “Feng Shui is first of all about protection of your place and you,” says she. 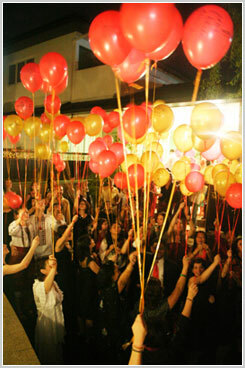 All of the participants received from her the Sublime Sutra of Golden Light to put in their houses. One of the most popular protection amulets from Lillian Too’s WOFS store is the Mantra Ring, made in 18K gold or also available gold plated. Many of the participants bought the mantra ring during the week of studies, and had immediately reported changes in their lives, for example, Dolores Cheng (Philippines) had a night of peaceful sleep first time in six months after wearing the Ring. Many stories from those owning the Ring for some time, are about surviving, and getting out unhurt from the most terrible car accidents. For Barbara Naegele, USA, a Mantra Ring she felt the urge to buy while in Hawaii last year became the beginning of her involvement in Feng Shui. “I have had amazing help from the ring,” says Barbara, and adds laughing, “also, I got lots of money… and my husband cleared all the clutter in his room!” The Mantra Ring made her interested in Lillian Too. Now Barbara plans to come to the Paht Chee course in summer 2008. “If you did not see the suffering, how can you know what happiness really is? If you did not see the ugliness of the world, how can you know what beauty is?” Lillian Too has often repeated the contrast principles in reply to the life stories of the training participants. As a practicing Buddhist, she was often asked questions on meditation and enlightenment, and one of her best advice was based on the secret teachings of Buddha, where Buddha says that everybody is a Buddha. If you did not see the suffering, how can you know what happiness really is? If you did not see the ugliness of the world, how can you know what beauty is? “One of the most powerful ways to achieve enlightenment is to visualize a Buddha coming into you, and how you are becoming more like him, filling up with love and kindness,” taught Mrs. Too. She has 10,000 sculptures and images of Buddha in her house; perhaps that is one of the reasons why this woman is so incredibly kind and powerful: it is easy for her to visualize Buddha any time. “The Mind is very powerful, it creates a picture: and you are becoming a Buddha! It does not mean you become powerful, like him, it means you become very kind and gentle,” explained Lillian Too. “Once you have the spiritual way, material is so easy! If you can visualize Buddha, you can visualize wealth. If that’s what you want: fine! Though you can’t take it with you, if it makes you happy, go for it!” shared Lillian Too with the participants, almost all of whom were scribbling in their notepads, putting the advice on paper to remember. "From Ukraine we brought salo, but we are already finishing it off," announced Olexander, a typical big, smiling, positive-hero looking Ukrainian man on the first day of MPC. We started laughing. "You see, my wife wanted to attend the training," went on Olexander, protectively putting his big arm around the shoulders of his beautiful, seemingly 18-year old wife Anna, "but how could I let her go alone that far? So it is good, I will sit at the training, think my thoughts… maybe I will also find something useful, you know." At the first tea break Anna slowly rushed to the tables stuffed with yummy specimens of Malaysian cuisine and piled up a plate. Olexander was standing away from the food queue, his smiling eyes on Anna. When several newly acquired girlfriends and I saw her feeding her husband pieces of coconut pancakes, our main dish that early morning, we exchanged looks: "Newly weds. How sweet!" A week later we were astounded to discover that Anna and Olexander have been happily married for ten years and have two adorable boys, waiting for their return back in Ukraine. The science of Feng Shui applied by Anna in every day life of her family plays an enormously important role in the relations of the couple. It is interesting that Olexander bought the first family’s book by Lillian Too, and then tried to study it and apply the knowledge to the new house he was building at the time. “Of course, it comes with great rewards, and all the success of our family is due to the amazing powers of feng shui,” adds Anna, “though often I have to rush my boys from one room to another… We have even lived in the corridor for a month, having a two-store villa!” and the couple laughs happily. I don’t know how I am going to do it but I’ll do it! 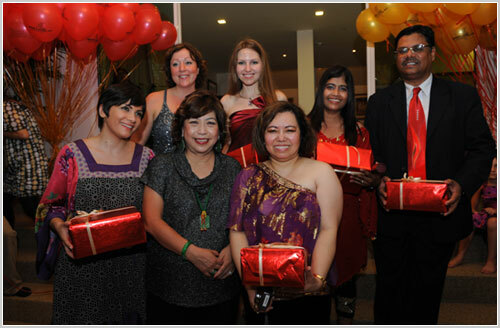 For Dolores Cheng (Philippines) coming to the Feng Shui course has become a new stage in her life. “I have always done what was right, what my father told me,” recalls this elegant, graceful woman in her 50’s. “My father died about six years ago. He was a Feng Shui expert, but insisted that the knowledge should go to a male, and not to me.” Still continuing her successful career advertisement, Dolores plans to go into a new direction in life. “I don’t know how I am going to do it but I’ll do it!” this phrase from Lillian Too sounds in my ears even today, several weeks after the end of the course. After talking to many of my classmates from the MPC studies, I know all of them have had a positive impact on their lives after being in contact with this unusual woman. Humor, wisdom, humbleness, and a lot of passion for life, people and Feng Shui – these are her main characteristics. April 2008 MPC study group thanks Lillian Too for the knowledge, time and kindness, so generously shared. I have enjoyed the course very much. 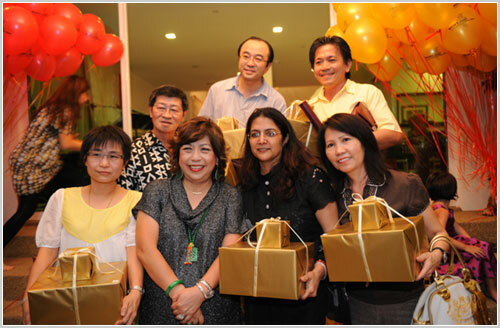 I am very much impressed by the witty, humour and humble style of the queen of feng shui, Lillian Too. Thank you all! Lillian Too method of teaching is so in-depth that I feel happy that my energy level has been exchanged to the superlative degree. She has covered so many areas where one can enhance their life totally positive through her teaching at the course. The course materials are fantastic referral for application. Thank you for imparting your knowledge and may the lord shower you the best! Thoroughly enjoyed the course! Facilities were great, instruction and revision were relevant demonstrating the depth of knowledge. I will return for further courses. A well organized and conducted course! Excellent lecturers and great, friendly and helpful staff. Hope to come back for Advanced and Paht Chee Class! I learnt a lot from this course. Lillian made the course very interesting. I enjoyed very much, will come back for more. And also the other staff are very helpful, especially Stanley, when I have doubt, I always go to him for clarification. Thank you all! The MPC course was excellent. There was complete harmony in the environment. The lectures given by Lillian were fabulous, very motivating and very professional. I hope that after completing this course, I will be able to conduct training courses in my country. Thank you Lillian and your entire staff for such a good experience! This course is interesting. I learnt a lot and gained the knowledge of feng shui during these lessons. I enjoyed it very much. Especially the practical lesson, it really gives us the opportunity to apply what we have learnt in the class. Furthermore, cross-reference from the group members also benefit each other. Overall, I find the course wonderful and hope that I will be able to attend the advanced course. Thank you very much! I love the seminar! Everyone is so kind and trying very much to explain everything and make sure we understand. 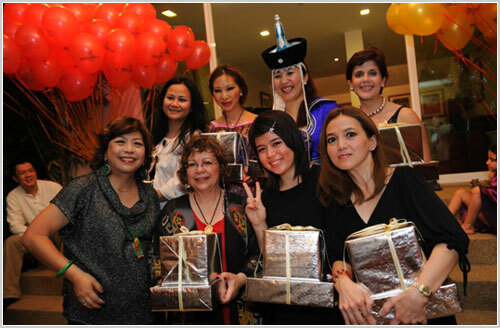 Lillian Too is the sweetest Feng Shui Master in the world and I am so grateful I met her! It’s really the best experience I’ve had in my whole life. I’ve been looking to meet Lillian for almost 5 years. She is simply my idol, she is the best! I love her and her teachings to the extent that I begged anyone traveling to buy me Lillian’s books because I am Lebanese and Feng Shui Books are not available here. The staff is amazing, the refreshment is wonderful. Thanks to Lillian and all at WOFS! Lillian made the course easy and understandable. Many of my questions at the back of my mind were answered. Stanley and Connie are very accommodating. I am really planning of coming back for the other courses. Thanks a lot to all especially to Lillian. Hope to see you soon! Very professional organization. Thank you so much for taking care of a lot of details. This seminar is an extremely valuable experience for me in learning feng shui. It’s arranged that way that one person could find out how to use the instrument or to have “fishing rod” instead of having “fish” caught for you. The course was excellent. I love it very much! I understand everything, your help was very useful. Everything was exciting and also all students. I am really thrilled from Lillian’s stories and her good energy that she “transferred” to us!